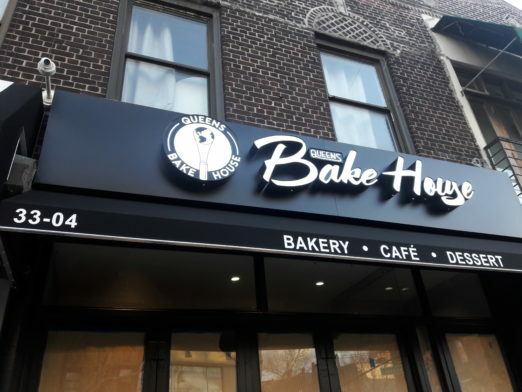 Queens Bake House has been updating their Instagram with mouthwatering treats for the better part of a year, but new signage is up and the owners are teasing a very soon opening—in about two weeks! Co-owners Colm Singh and Bassim Sifelnasr are childhood best friends and business partners. 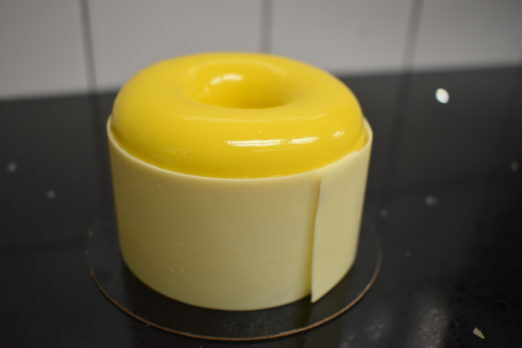 Singh handles the business side of things (he also owns multiple delis throughout Queens), and Sifelnasr is the pastry chef. 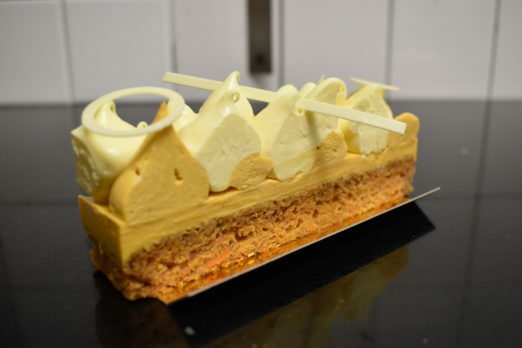 Their goal is to have a shifting menu of unique, new desserts. 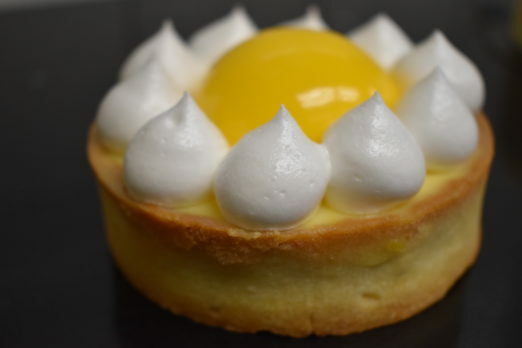 We got to preview a few of the pastries the bake house will have on hand, just to give you an idea of what’s in store (though no recipes are final)! The partners are going to be conscious of providing vegan, dairy-free and gluten-free options. “Whatever your dietary restrictions, we want you to be able to get something here,” they said. Hours will be from 6 a.m. to midnight. Therefore, they’ll be providing breakfast pastries and a brunch on weekends, along with a dessert bar at night, which will pair hand-crafted desserts with cocktails. Check out their social media to see more examples of what they’ve been whipping up—peanut butter mousse with cookie butter and fresh whipped cream had me drooling even more recently. I went here two times this weekend… Their iced coffee is strong and delicious, and their croissants were as STUNNING as they were tasty! I met Colm and he was really lovely and excited to meet everyone in the neighborhood. You can tell a lot of hard work went into this place. Highly recommend checking it out – its a really welcome and friendly addition to the neighborhood.